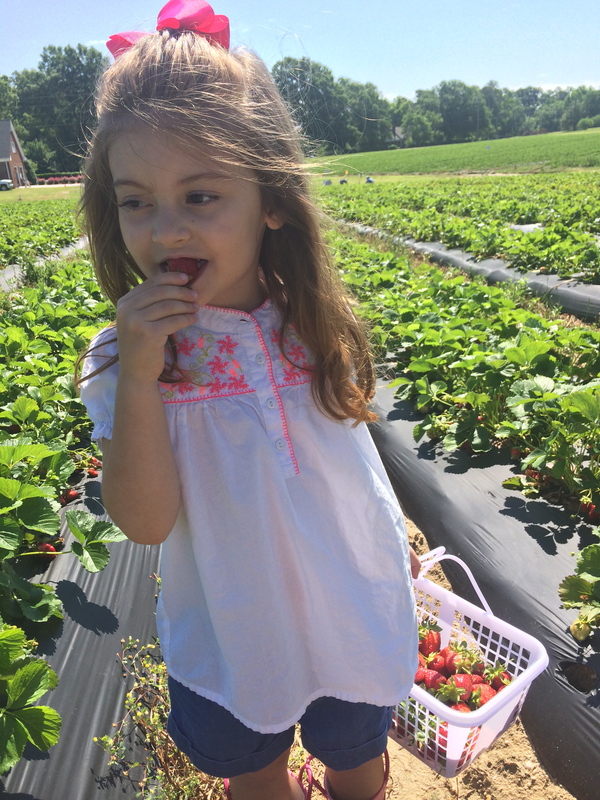 As promised, I took Gemma to pick strawberries Friday morning. It was shaping up to be a lovely day…72 degrees with blue skies, perfectly fluffy clouds and almost no humidity. 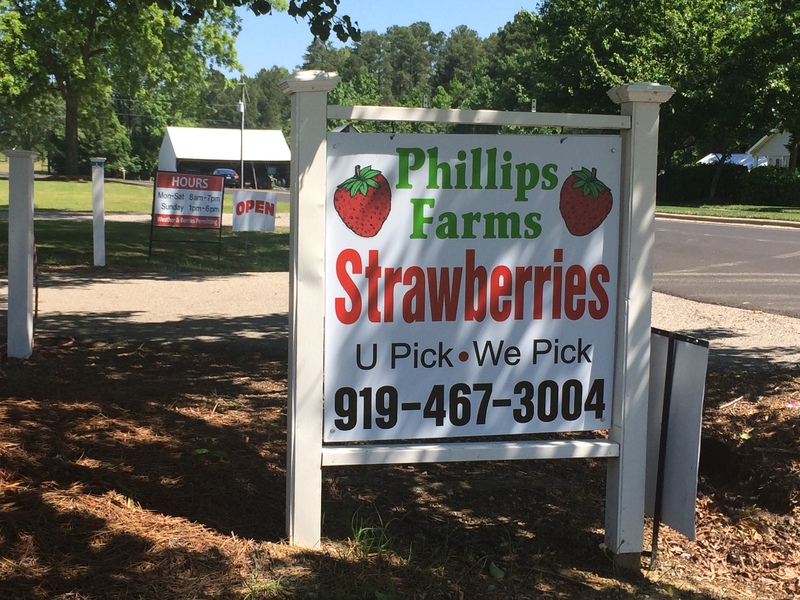 We set off mid-morning to Phillips Farms in Cary, NC (about 12 miles from our house). We had hoped to hit up Jean’s Berry Patch, where we grabbed our flat of berries earlier this week for our strawberry pies; however, we learned their fields were hit by a gang of rogue deer, and they suspended self-picking for the season! Bummer! 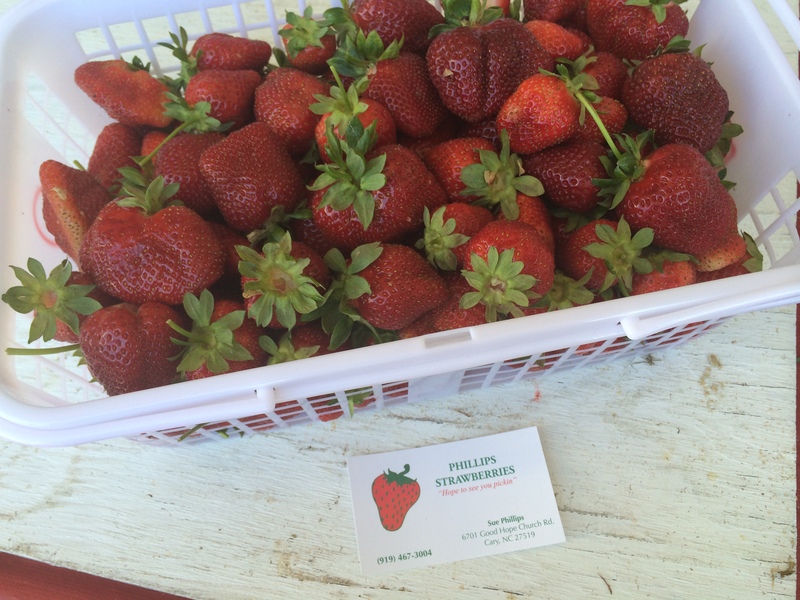 When we arrived and began searching for the best row for pickin’, we noticed the fields were full of plump, red strawberries! To our disappointment, we learned Thursday night’s storms and heavy rains left at least half of their ripe berries in a state of mush. Luckily, we were able to weed out a full basket of their best fruits and look forward to bingeing on strawberries all weekend!! 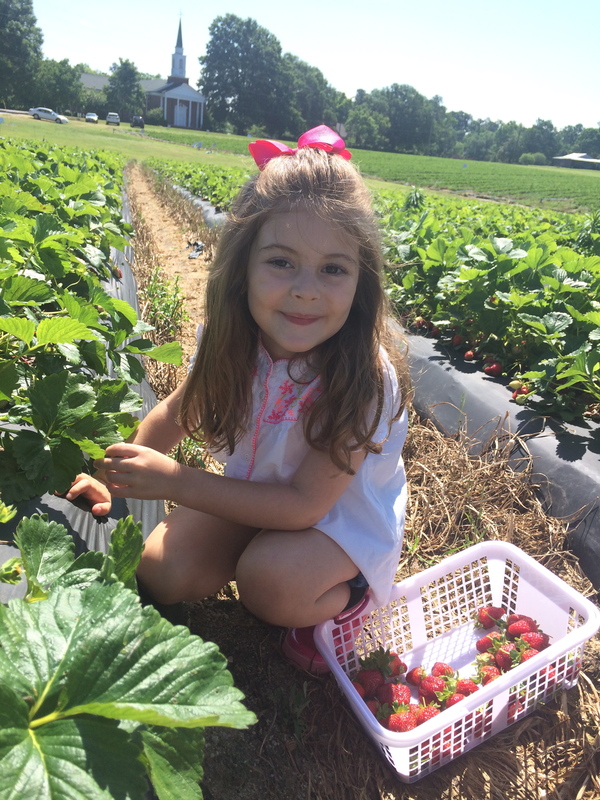 This entry was posted in Kid Stuff, Life, Travel and tagged basket of strawberries, jean's berry patch nc, phillips farms cary nc, strawberry field, strawberry picking, u pick strawberries cary nc. Bookmark the permalink.